As a part of my interview series with leaders in healthcare, I had the pleasure to interview Ilana Jacqueline. Ilana is a best-selling author, marketing consultant and professional patient advocate based out of Boca Raton, Florida. The 29-year-old patient who herself lives with a rare disease, works with biotech, healthcare, big pharma, marketing, advertising and venture capitalist firms to evaluate companies and products for their core values to patient audiences. She works to create partnerships between non-profit health organizations and large corporations, provides companywide sensitivity training on rare, chronic, invisible and terminal illnesses and assists companies in creating powerful and engaging content for patients of all kinds. From CEO to customer service representative, Ilana delivers advice and resources on how to find the right words to leave patient-consumers feeling assured and knowing they’re in good hands. 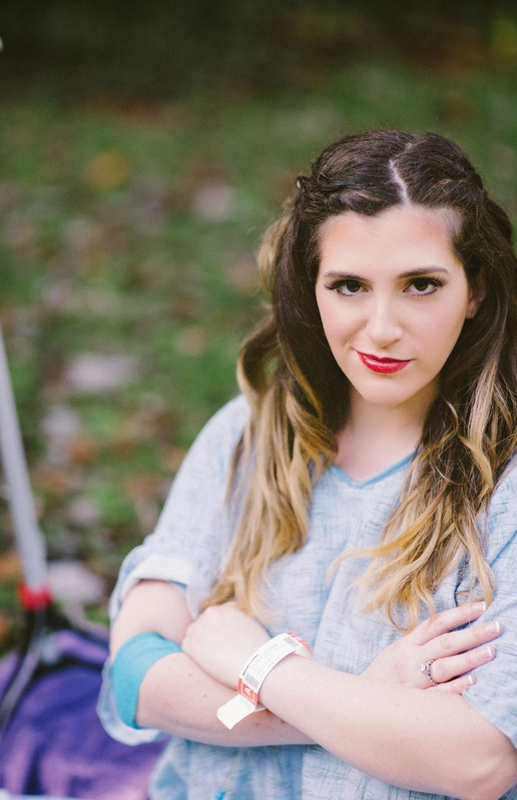 Whether it’s creating focus groups of rare disease patients, developing support programs for caregivers, refining language and writing empowering material for improving quality of life — Ilana helps puts the human element back in healthcare. She currently sits on the board of three organizations including the Rare and Undiagnosed Disease Network, Invisible Disabilities Association, and the youth Health Advocacy Summit. 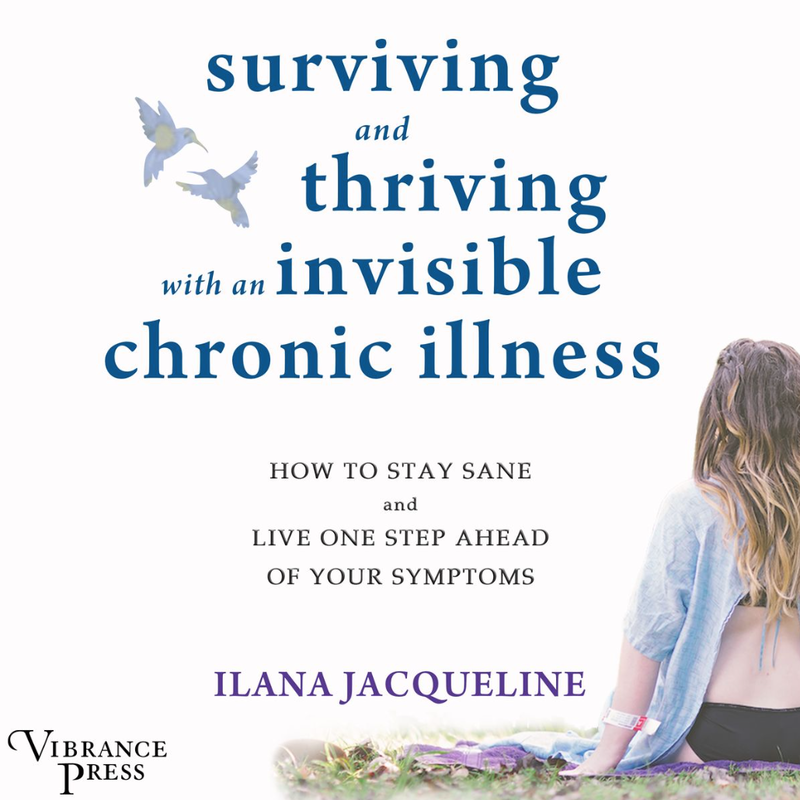 Her book “Surviving and Thriving with an Invisible Chronic Illness” is the end-all, be-all guidebook for patients living with incurable ailments who are continuing to pursue school, work, relationships, high self-esteem and independence while coping with unpredictable symptoms and continuous critical care. I was born with a rare genetic disease, but I was someone who fell through the cracks diagnostically. It wasn’t until I was 19-years-old that I was diagnosed. In the quest to both diagnose my disease and then treat it — I encountered so many healthcare dilemmas. I dealt with insurance companies in the middle of a crisis and thought to myself, wouldn’t it be nice if healthcare workers really understood what’s happening on the other side of the telephone? I was so desperate to get better, my family and myself invested hundreds or thousands into concierge physicians and treatment centers that never panned out. I participated in a clinical trial — and never saw the results from the genetic sequencing I was told I’d receive for my participation. What it helped me to realize was that we, as patients, are extraordinarily vulnerable. We’re a desperate demographic who are ready and willing to empty our pockets, open our minds, and do whatever it takes to get better. It is now my job to clear the path for them by educating patients AND the companies that cater to them. I had one client who, on my very first day was preparing to deliver a speech to a room full of parents of children with a rare, progressively muscular dystrophy. I asked to read over his speech to see what he planned to say. In his presentation he had planned on using phrases like “one day, I believe that each and every one of your children will be able to walk, run and play again.” I was flabbergasted and called the client with a word of warning that this was not a sentiment that would be well-received by parents of children who were well beyond that part of the disease journey. I also let him know that there would most likely be advocates there whose children had already passed. The goal is to empower patients and spread hope, but when you’re working with patients like this — hope looks vastly different than what it might appear as to someone with a healthy child and spreading false hope can be interpreted as cruel and misinformed. I gave my client a quick review of the realities of this disease and together we re-worked the speech with just hours to spare. It’s little minefields like this that can make or break trust with a patient audience. One of my first clients was a big life lesson for me about the value of my time. I was 18-years-old and hired to do some content for their blog, some social media engagement. Slowly my responsibilities began to increase and I didn’t speak up. I was getting paid a very modest monthly retainer and didn’t think to specify or evaluate the amount of hours the project would need. I literally ended up going from writing twitter statuses to an ENTIRE E-BOOK (which had to be produced within three weeks.) Now I set my rates and client expectations in writing and I speak up when expectations get out of hand. Unlike a general marketing firm or business developer, I bring personal and continuous experience to the table. Terminology for diseases changes frequently and unless you’re deeply entrenched in these patient communities, you won’t know what those terms are, what causes offense or grief. My value comes with my authenticity. It doesn’t take a team to investigate whether or not a topic is being covered correctly — I live this experience and I can help make fast, effective decisions. What advice would you give to other healthcare leaders to help their team to thrive? Hire a patient advocate. It’s an obvious statement considering the article you’re reading and you think it would be even more obvious for a company to seek out advice from someone who would “use” their product. I work from the top so I can trickle down this insight to the bottom. If I can implore a CEO to rewrite a speech, maybe I can convince him to take on company-wide sensitivity training with a patient advocate and the same changes he made in the way he spoke to patients will open the minds of a representative on the company’s 1–800 number who will speak with a real patient. Ok, thank you for that. Let’s jump to the main focus of our interview. According to this study cited by Newsweek, the US healthcare system is ranked as the worst among high income nations. This seems shocking. Can you share with us 3–5 reasons why you think the US is ranked so poorly? I think most people would scream “the overwhelming cost compared to universal healthcare!” But that doesn’t actually make the top of my list. Physicians Aren’t Getting Enough Continuous Education: Healthcare technology is booming. New genes are being discovered all the time. New blood tests, new imaging studies, new technology — and doctors who have been in practice for thirty years aren’t always engaged in continuing education. We have the technology — but do we have doctors who are willing to learn how to use it? Multi-disciplinary Communications: Rarely does a chronic illness stay in one specialty. Patients develop co-morbidities that can span rheumatology to dermatology to ophthalmology. And in today’s medical system, it’s the patient’s responsibility to coordinate care between all of these specialists. It takes pleading, begging, and often a hospital admission to finally get all of your treating physicians to communicate. Staffing Issues: You can have the most brilliant doctor in the country — but if his administrative assistant has twenty calls coming in each hour and she’s the only one behind the desk, what happens to the quality of care? It plummets. Physicians should be regularly adjusting their ratio of patients to staff. Are there enough nurses? Enough people behind the sign-in window? Have they considered hiring a physician’s assistant for less critical appointments? Doctor’s offices should run like a business with management tools, software that everyone on the team can understand, and should hire consultants to address issues the main staff can’t strategize on their own. You are a “healthcare insider”. If you had the power to make a change, can you share 5 changes that need to be made to improve the overall US healthcare system? Please share a story or example for each. I would suggest a complete overhaul of the way opioid prescriptions are being managed. We’ve been in such a rush to stop the crisis — we have completely forgotten about the patients who are using these medications responsibly for chronic conditions. If chemotherapy was being used recreationally — would we stop cancer patients from getting the treatment they need? We cannot punish people for being in pain. Legalized medical marijuana across the country. Greater physician participation in telemedicine practices. Better FDA oversight on genetic sequencing and other genotyping and blood tests. Companies should be obligated to give more prominent disclaimers on what a test can and can’t tell you and how accurate it truly is. A greater emphasis in the doctor’s office on clinical trials. Ok, its very nice to suggest changes, but what concrete steps would have to be done to actually manifest these changes? What can a) individuals, b) corporations, c) communities and d) leaders do to help? A- Patients should have access to the medication they need. Unfortunately, if they need long-term opioids, they’ll need to comply with regular drug tests and see their pain management specialist every month for a check-in. Doctors need to fight on behalf of their patients to get the prescriptions they need. Often it’s as easy as citing on the actual prescription “patient has failed all long-term pain management” but they may have to work with pharmacist to understand the language. If you’re a pain management physician, pick up the phone and call the pharmacy and ask: What do I need to write to make sure my patients get their medication? And we, as a community, need to change the narrative from “all patients who take opioids are addicts” to “all patients who take opioids have a reason they’re taking them” — Sometimes that reason is they’re an addict who uses recreationally. Sometimes it means they have one of any of thousands of diseases like spinal muscular atrophy or sickle cell anemia that cause intense, chronic pain. Medical Marijuana legalization is fast-spreading across the US. It’s just a matter of time before it’s fully legalized. I think dispensaries need to work hard to change the narrative of who a medical marijuana patient actually is. It’s not just your local high-school drop out, it’s a mother of four kids who suffers from migraines, it’s your grandfather dealing with round two of chemotherapy, it’s your head of HR who lives with epilepsy. There are great tools for telemedicine and it can vastly improve access and waiting times and reduce ER visits. While there will still be plenty of appointments that need to be done in person, pediatricians are diagnosing ear infections using iPhone attachments, plastic surgeons are doing consults on their tablets, and OBGYN’s are answering non-urgent questions via text and email. Figure out your price for virtual consults and you’ll find a reduction in unnecessary visits that cause your office longer hours and greater cost of staff to manage it. We’re in the middle of the genetic revolution — and it’s the wild, wild west out here. It’s amazing the kind of sequencing we can do in 2019, but it’s a large concern that patients will be confused about their results or have inaccurate results. This is a touchy subject, because we want to rapidly sequencing as much of the population as possible to better understand the human genome — we just risk patient support in that process. Take for instance the Huntington’s Disease Community. They have guidelines for how genetic sequencing should be approached. They want patients to have all the support — both medical and emotional for undergoing the test to see if they too have the genetic mutation — even going so far as to demand psychological evaluations, and multiple sessions with a genetic counselor throughout the process. Many of my clients are struggling with how to get physicians to talk to patients about clinical trials. Whether they’re for general research or to study new treatments, patients need to know that if their quality of life is diminished and their physician has no more treatments to suggest — that there are probably at least 30–50 open clinical trials for their condition that they might be a fit for. As a mental health professional myself, im particularly interested in the interplay between the general healthcare system and the mental health system. Right now we have two parallel tracks mental/behavioral health and general health. What are your thoughts about this status quo? What would you suggest to improve this? Undiagnosed and rare disease patients tend to stray from getting professional mental health assistance because they’re concerned that their doctors will stamp their diagnosis as mental when they’re on a diagnostic odyssey for the physical cause of their disease. This is unfortunate for many reasons — not the least of which is the fact that many of these patients deal with medical trauma and PTSD. I think it would be helpful for patients, especially those dealing with long-term hospital stays, to have a dedicated social worker or psychologist to see them in their hospital room. It should also be stressed that you can have both a chronic physical illness and struggle with a mental illness. How would you define an “excellent healthcare provider”? Will let you know when I meet one. Just kidding….Kind of. An excellent healthcare provider does a few simple things 1) they do a thorough exam and study the patient’s history, 2) they make eye contact when speaking to patients and answer all of their questions 3) they admit when they don’t have any more answers, but give suggestions on where to go next 4) they make the effort to communicate with other members of a patient’s health team if there is a complex issue. So like I said….I’ll let you know when I find one! My husband has a shirt he wears to the gym. It says “UNLESS YOU PUKE, FAINT, OR DIE- KEEP GOING.” Living with a chronic illness, this has been my new motto. One of my doctors recently told me that I am just one decade shy of truly knowing the full extent of my diagnosis and having any real treatment for it. He said I just have to keep going, keep looking for an answer — but don’t stop living in the process. So I move on with my life, my career, my family — and unless I puke, faint or die — I keep going. One of my past clients, FDNA has a product called Face2Gene. It’s an incredible technology that helps physicians struggling to diagnose complex cases. It uses AI and next-generation phenotyping technology to assist physicians with detecting facial phenotypes that present in different genetic syndromes. Doctors can take a picture of their patient, run it through their software and match with the most relevant syndromes based on the patient’s symptoms and image. I believe their product will help end the diagnostic odyssey for many patients and their families. I also work with advocates all over the country who are using social media to raise awareness about their conditions. And it isn’t just “share this statistic on diabetes” it’s watch a day in the life of someone with diabetes and see what they eat, how much insulin they have to take, how much it costs each time they go to the pharmacy. A cystic fibrosis advocate, Bailey Anne Vincent (@CatchingBreaths) recently started a hashtag called #PriceOfLife to demonstrate the daily cost of living with a chronic condition. Chris Ruden (@ChrisRuden) , a disabled power-lifter is showing his followers how a prosthetic arm can give confidence and strength to those with physical disabilities and amputations. They are putting a face and a voice to conditions most of us only ever learn about peripherally. To follow their stories is engaging entertainment — but it’s how we’ll change the stigma around disabilities, these are people — not just patients. What are your favorite books, podcasts, or resources that inspire you to be a better healthcare leader? Can you explain why you like them? My book is called Surviving and Thriving with an Invisible Chronic Illness and is a guidebook for patients of all kinds. It gives advice on how to cope with school, work, relationships, self-esteem and independent while dealing with active symptoms. Peter Shankman has written several books about the power of ADHD and using it to your advantage. Wide Awake and Dreaming, a novel by Julie Flygare tells the powerful and personal story of Narcolepsy and how the Project Sleep movement began. Kyle Bryant recently released a memoir called Shifting Into High Gear which talks about one man’s decline into a rare, progressive and life-shortening rare disease called Freidreich’s Ataxia. I refer to myself as a CEO — Chronically Exhausted Overachiever. I hope that people who are dealing with chronic diseases can look at my career and say, “Maybe I can too.” There is no shame in going on disability, and there’s nothing about finding a way to work that will say “I’m not really sick.” We’ll all go through different seasons of our disease and careers — but it’s important to remember that managing a chronic illness IS a full-time job. We are capable. We are organized. We are hard-working.